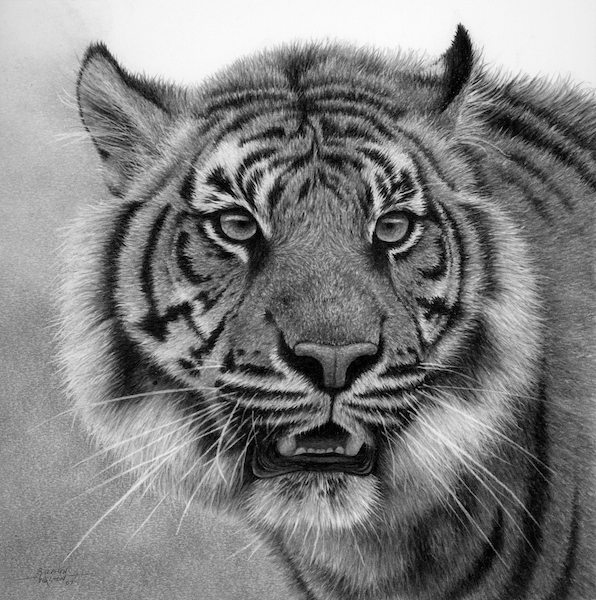 Like all the big cats the tiger has a stare of such intensity, any drawing of them must capture this. Tiger fur is also particularly impressive and poses a great challenge. I am very pleased with this one.